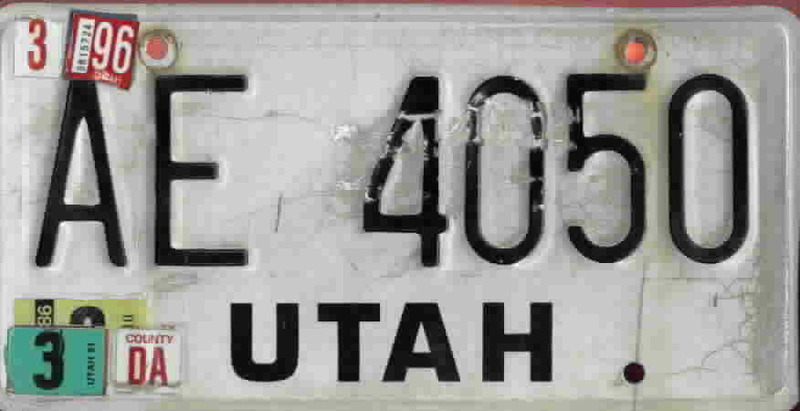 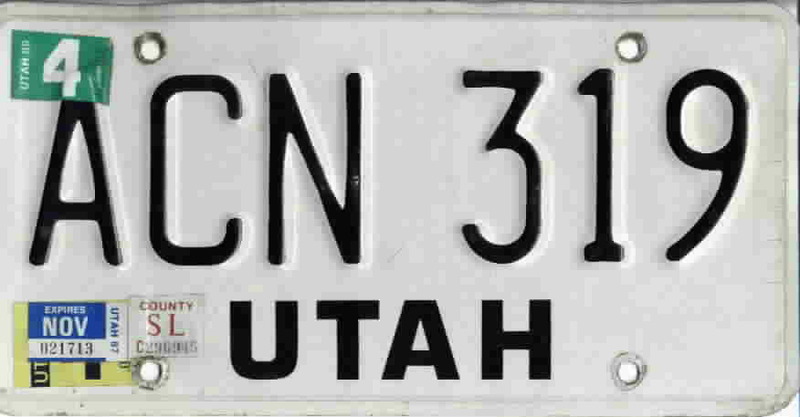 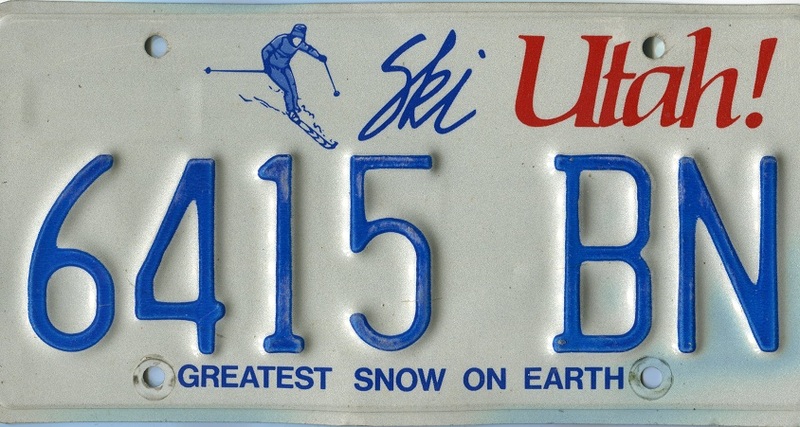 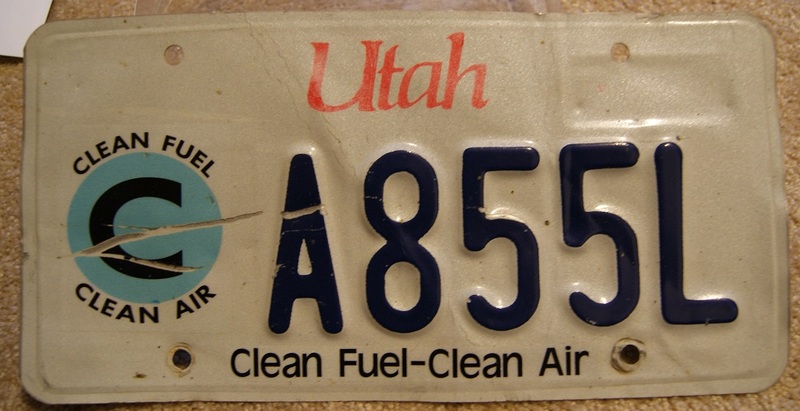 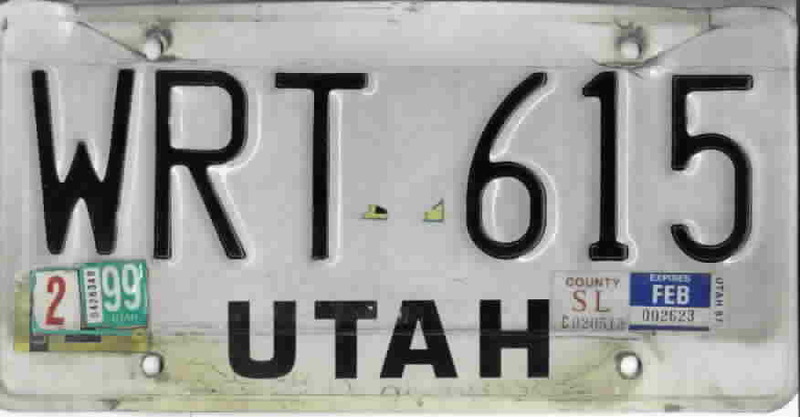 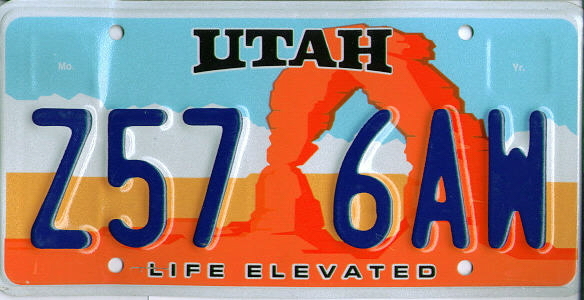 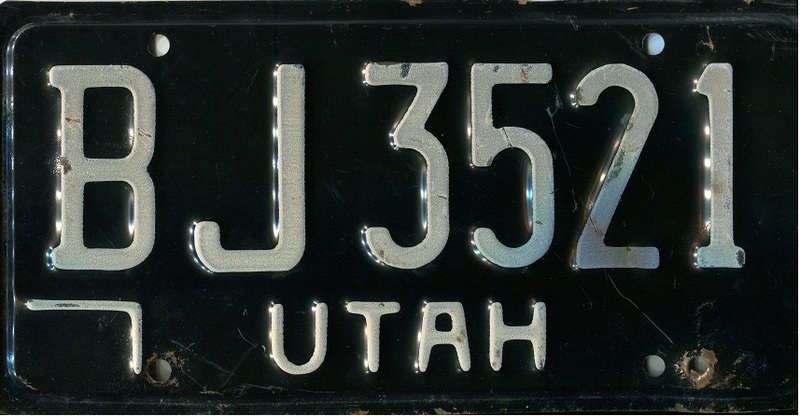 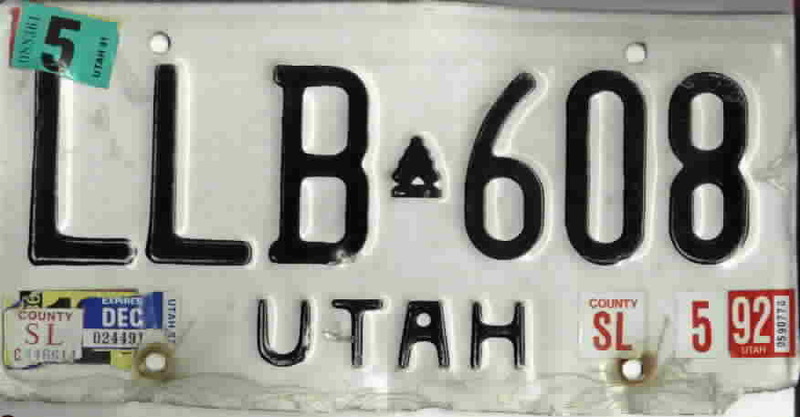 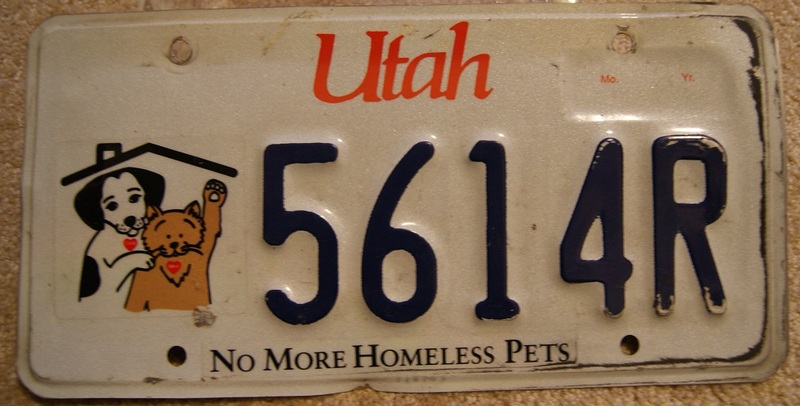 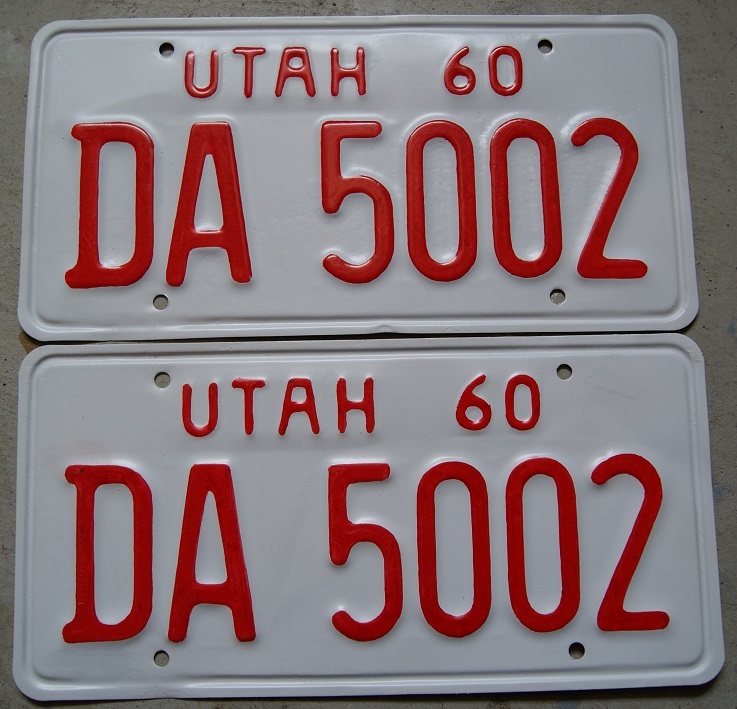 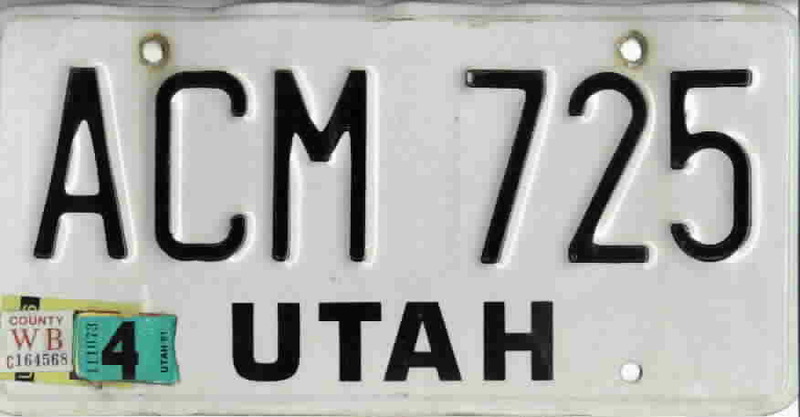 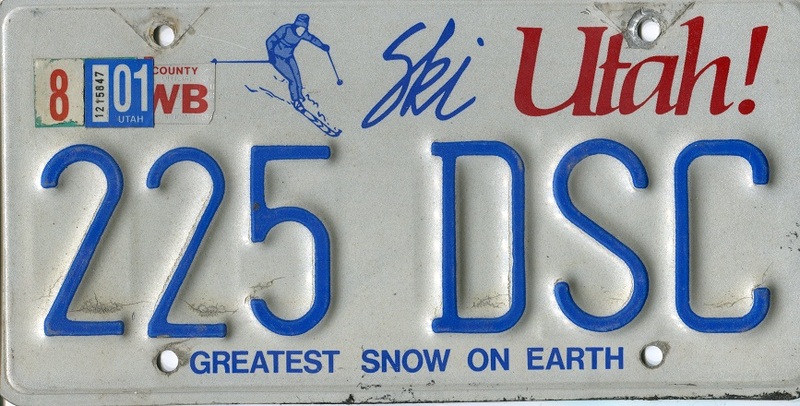 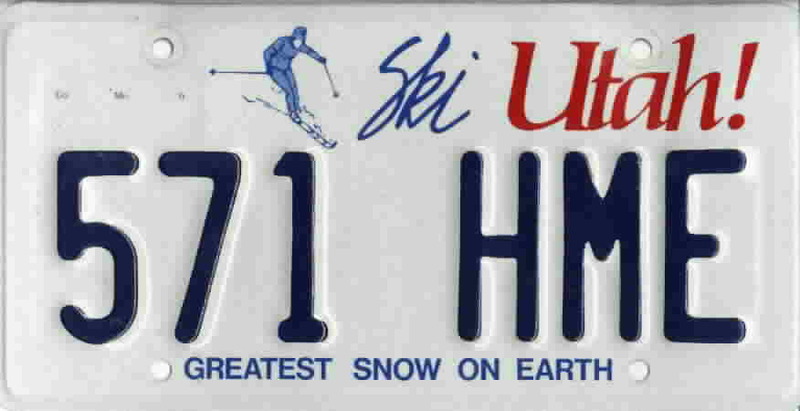 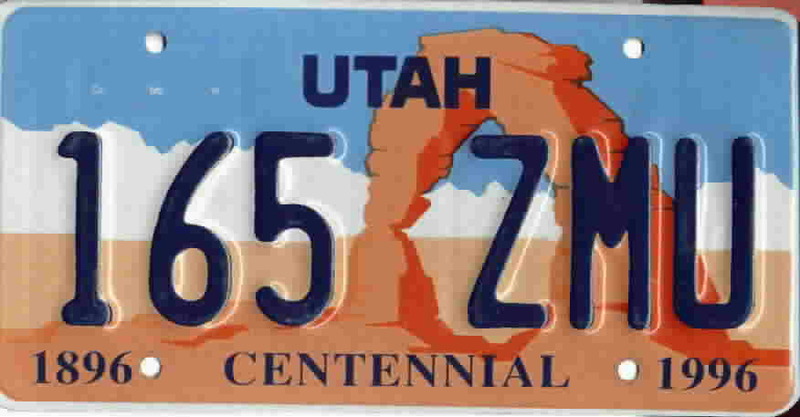 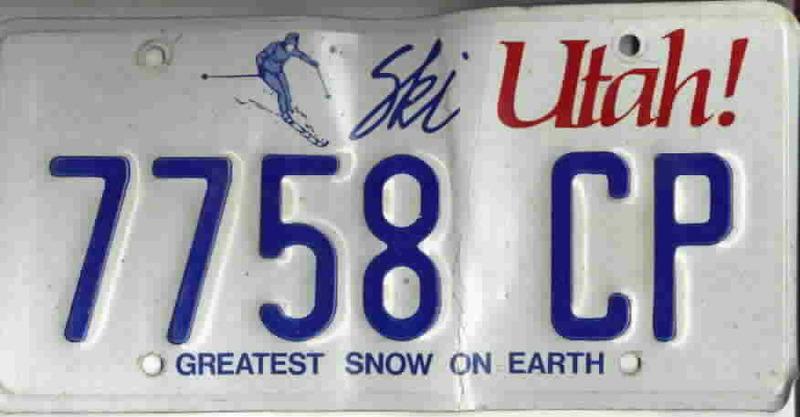 Also, I may have several of one style of plate (like the Ski Utah and Arch plates) - you'll then just get one similar to the one pictured on this page when you purchase one or trade for one from me. 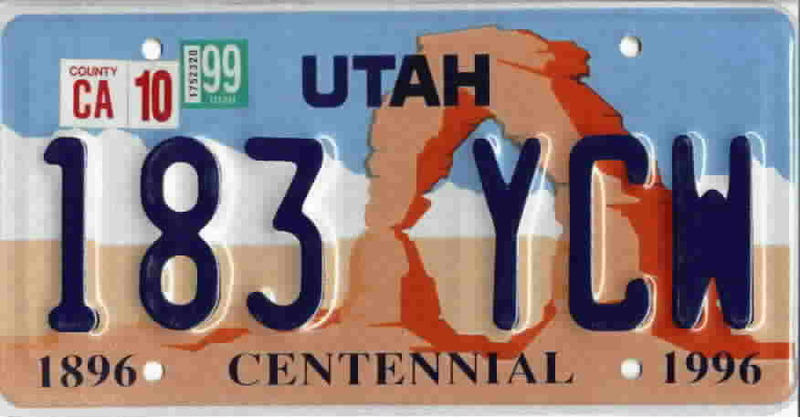 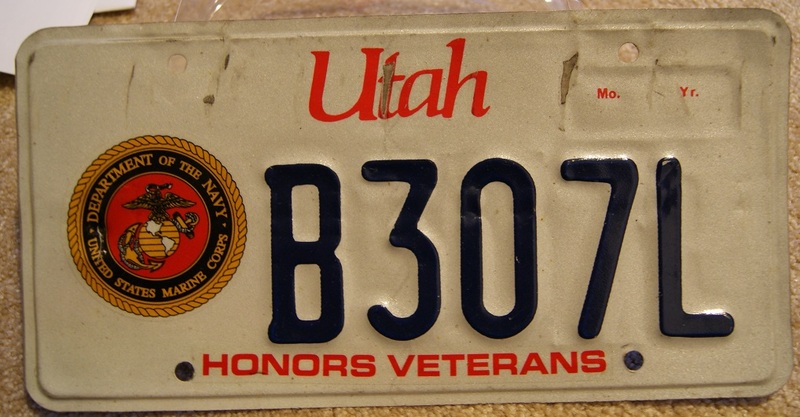 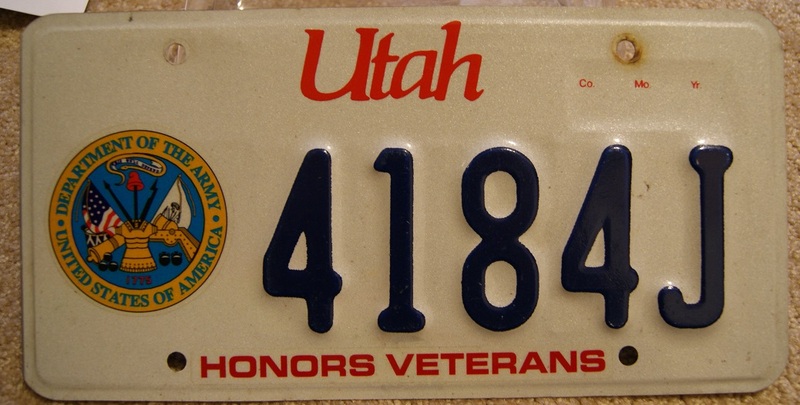 UT 63 PAIR Dark blue w/white numerals VG ****Great for YOM registration for your car! 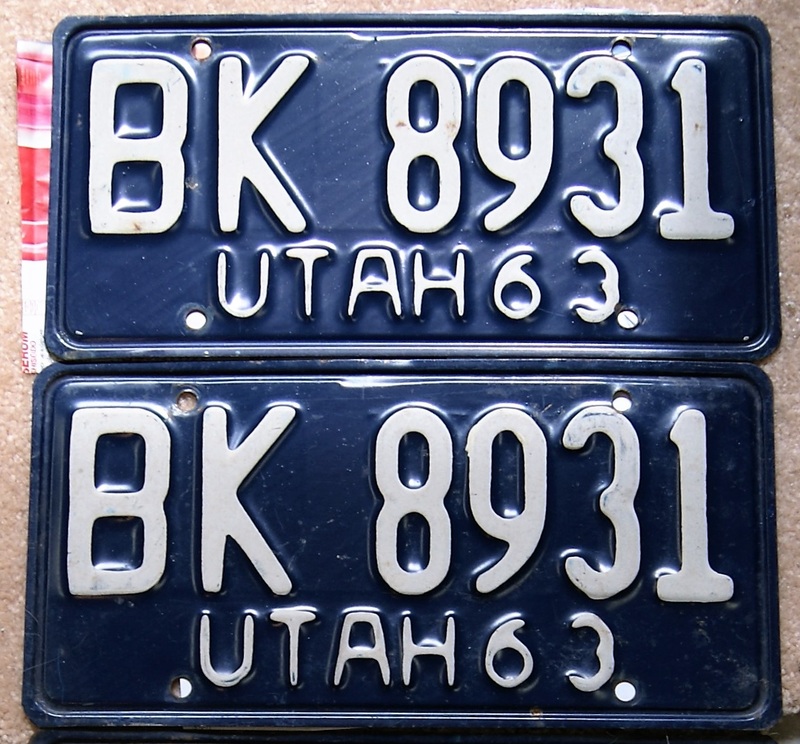 UT 63 PAIR Dark blue w/white numerals G+ ****Great for YOM registration for your car! 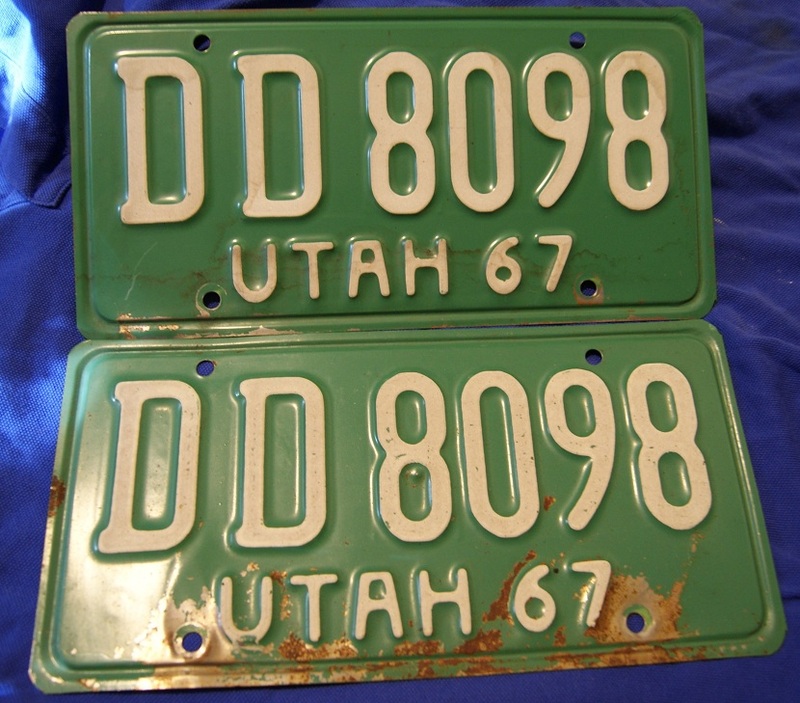 UT 67 PAIR Green w/white numerals G-VG ****Great for YOM registration for your car! 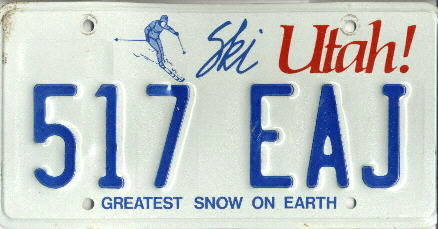 I do sometimes have a few of these available, and list them online on eBay as well. 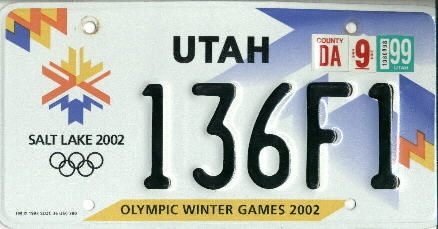 Please email me if you'd like one. 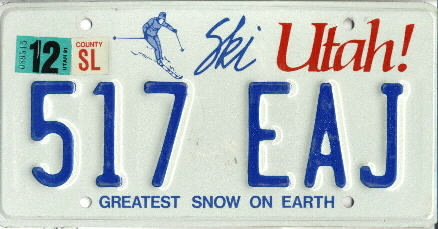 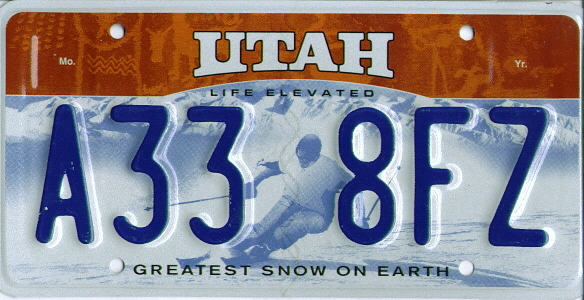 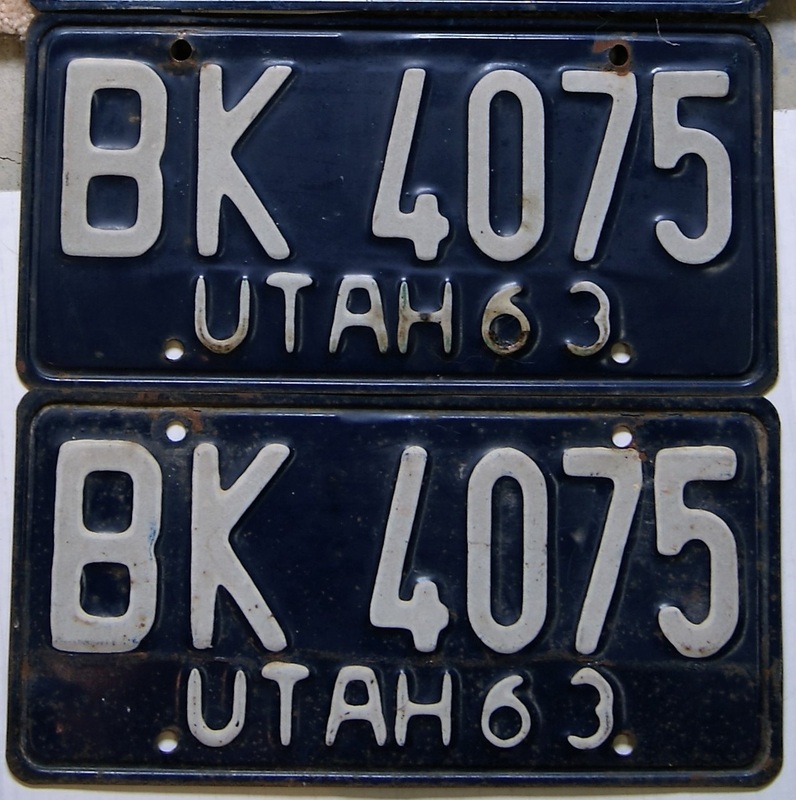 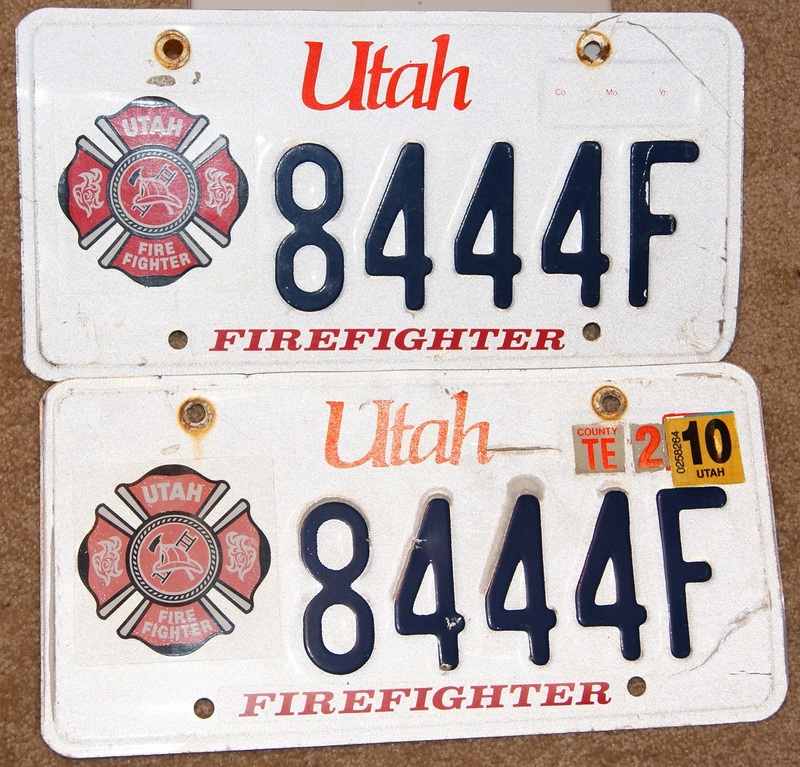 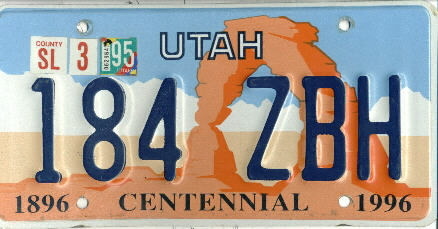 Ski Utah older type-light blue #'s click on button above for the pair. 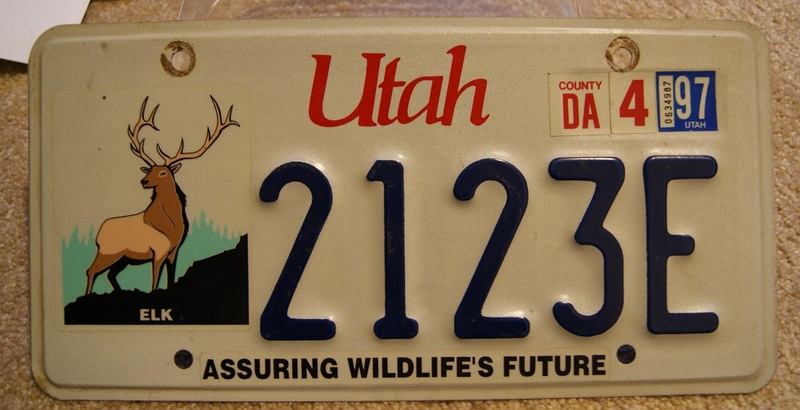 NOTE: Since many of these are hard for me to come by, I would prefer to sell them, however I would consider a trade of one of these for environmental/wildlife plates that I currently need. 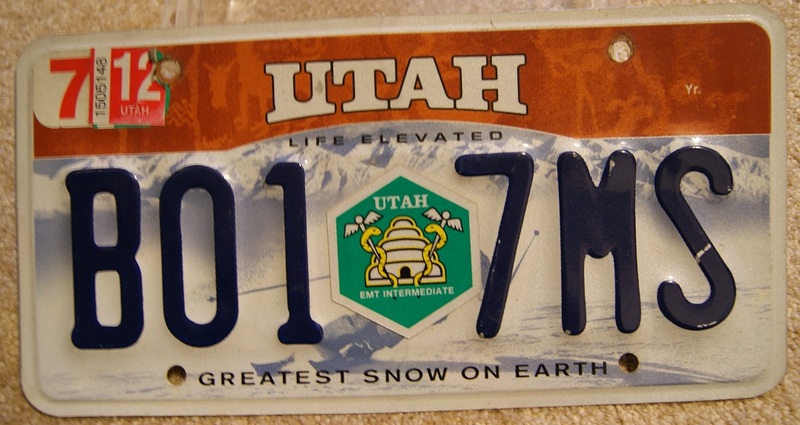 Please email me to be sure that I still have these available.